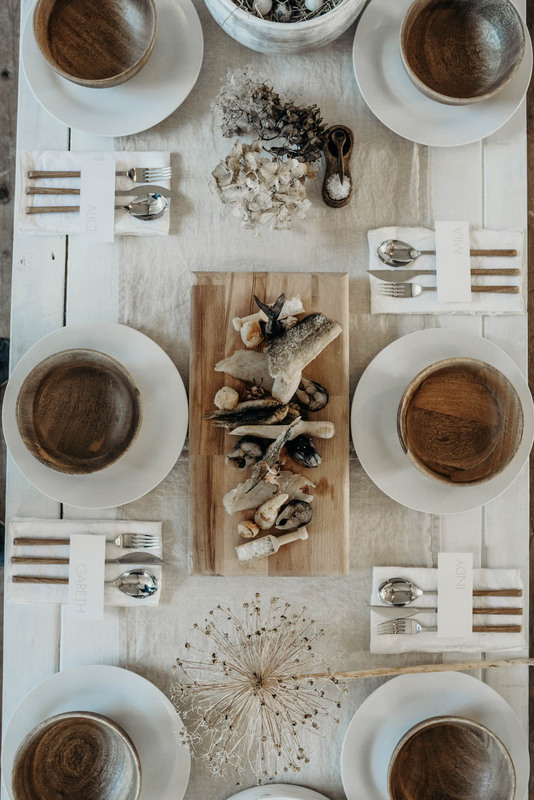 We do love a barn wedding here at B.LOVED and the different styles you can go with from the romantic country garden aesthetic, to rustic chic or something more bohemian luxe! 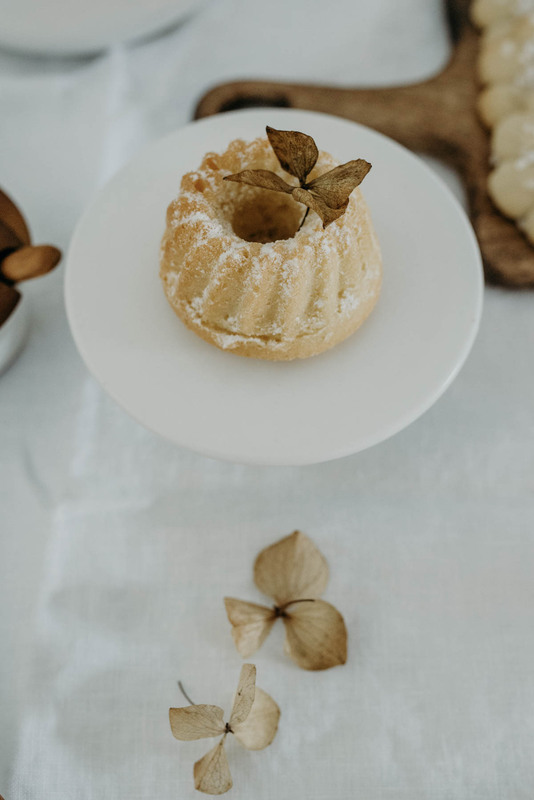 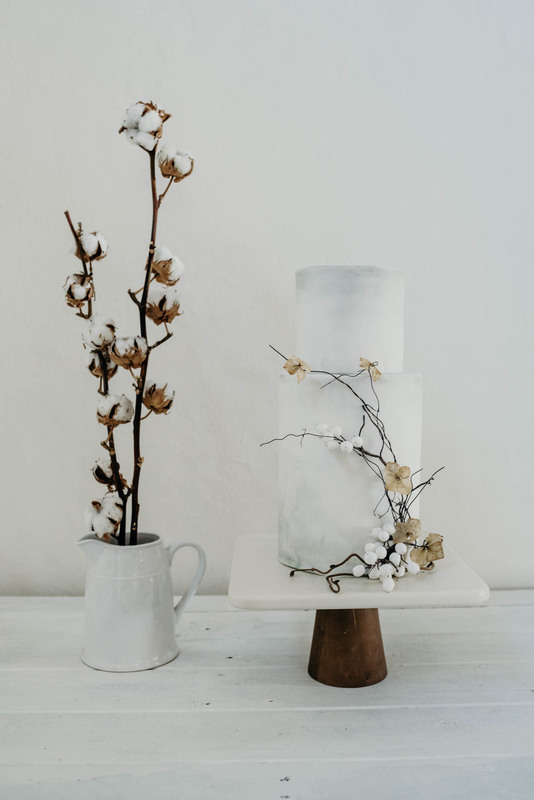 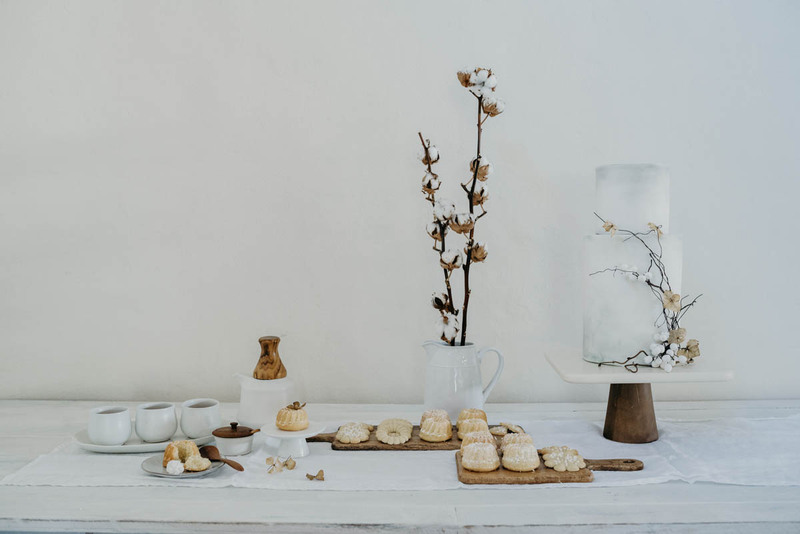 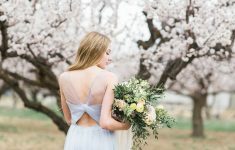 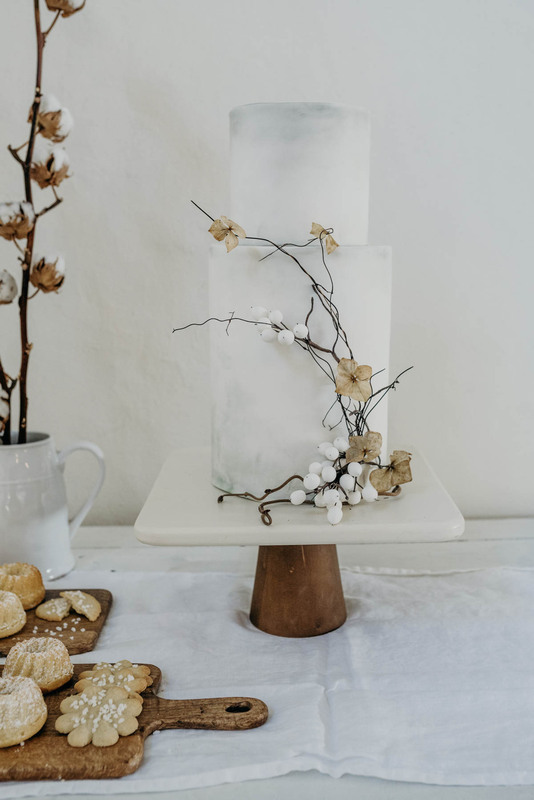 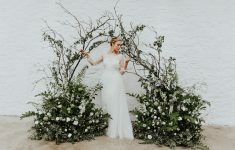 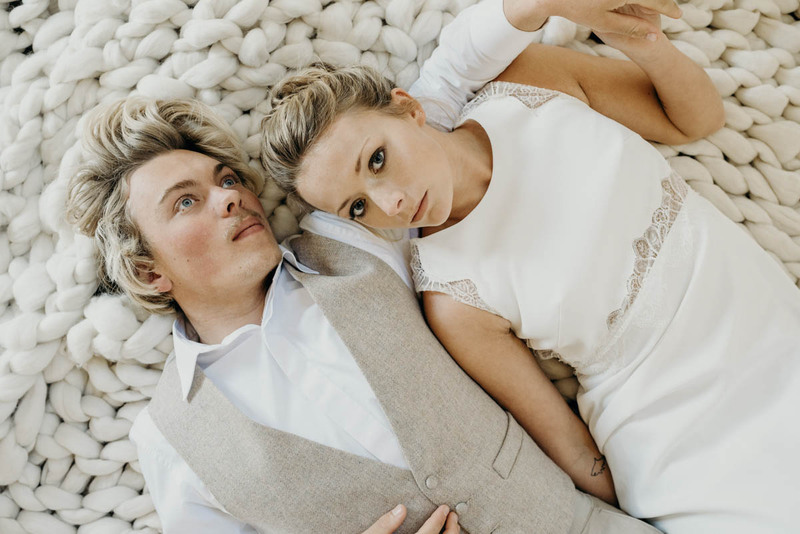 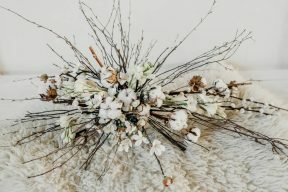 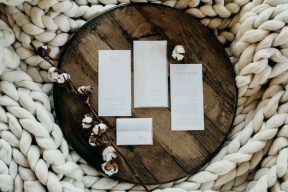 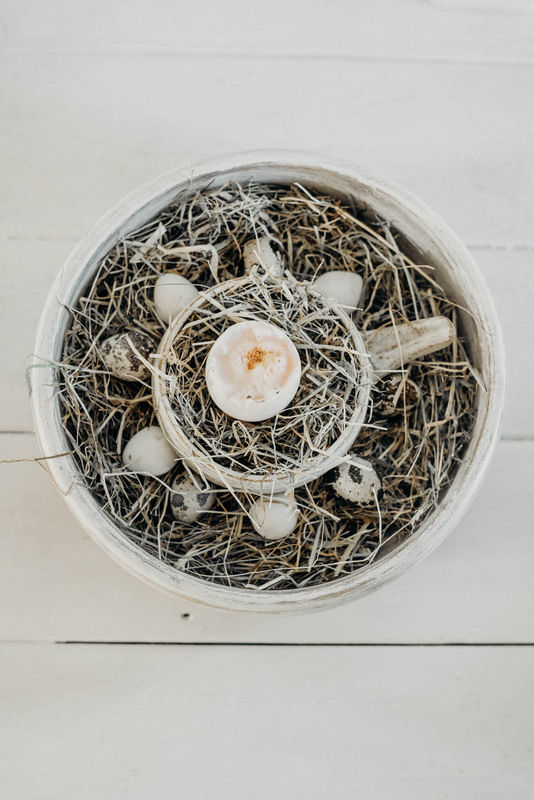 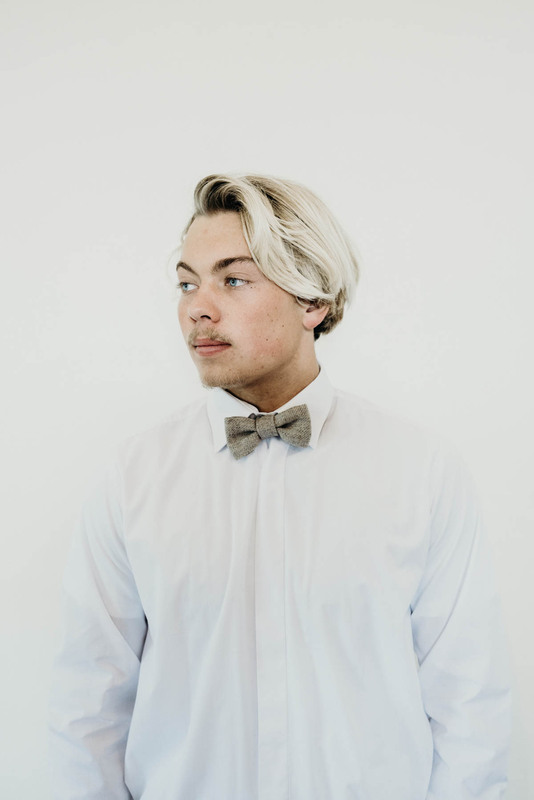 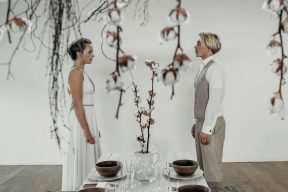 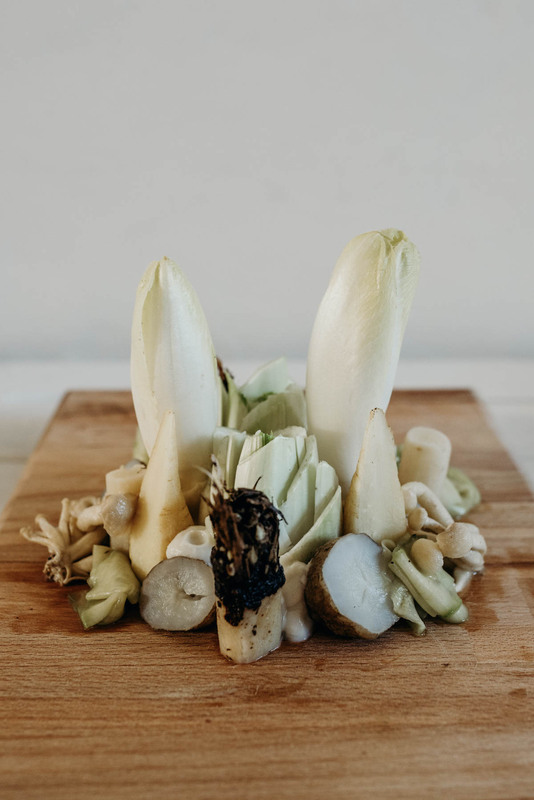 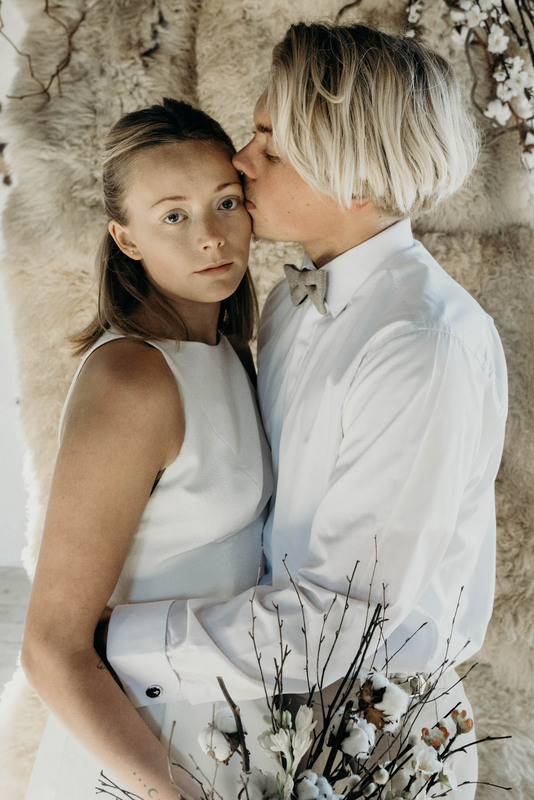 The wonderful Knots + Kisses shares with us her take on the modern barn wedding filled with amazing ideas and details, and a stylish neutral colour palette. Here she is to tell us all about the key elements that pull this look together; “As a stylist in Devon & Cornwall in the UK there are a huge amount of beautiful old barn venues for couples to get married in … but I felt it was time that the ‘barn wedding’ was given a modern update! 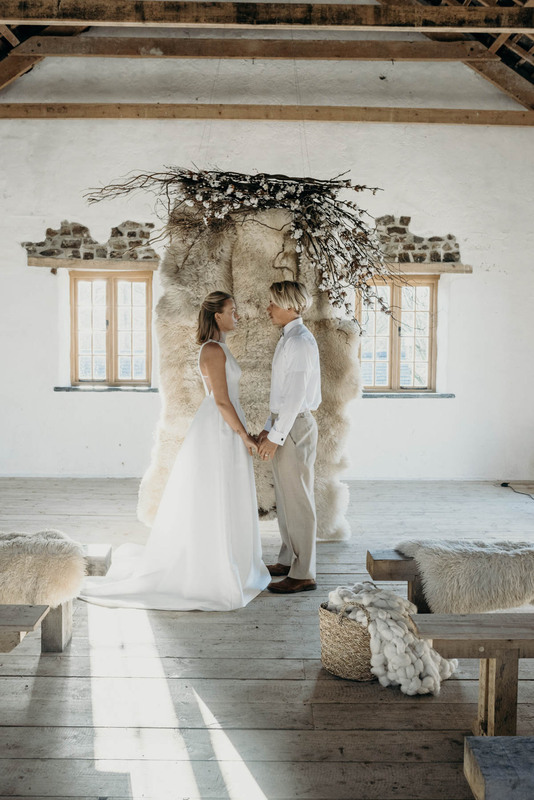 We have so many brides and grooms who love to travel here from London to get married because of the beautiful scenery and atmosphere but who might want a more modern and glamorous wedding than your traditional rustic barn with hay bales. 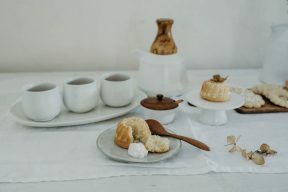 My design concept started, surprisingly, with a teapot! I had found a really beautiful tea set in Bali whilst on Honeymoon in a shop which combined the beautiful traditional wood of Bali with a much more modern Scandinavian aesthetic. 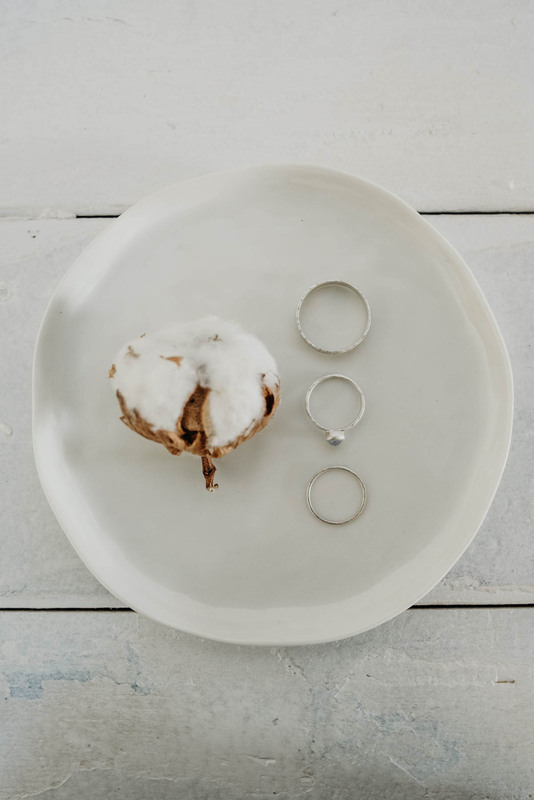 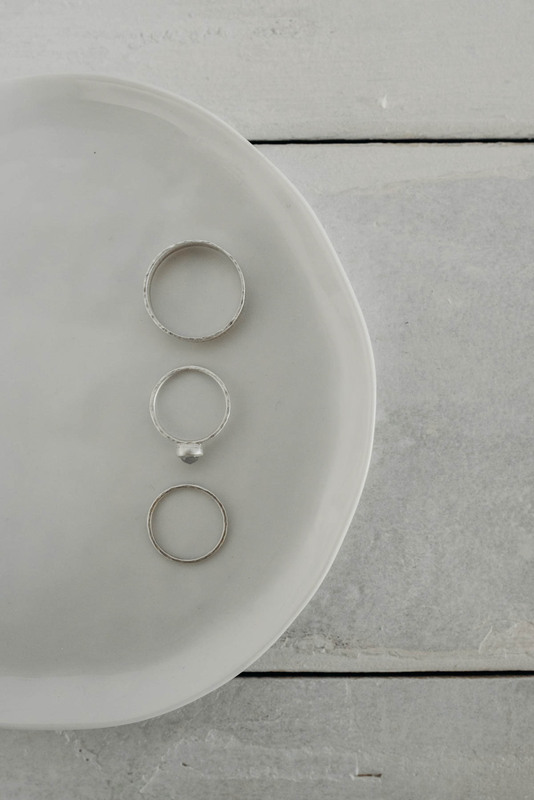 The tea set came home with me and I started thinking that this would be a wonderful starting point for my ideas for an update on the barn wedding, combining sleek modern shapes with beautiful natural wood. 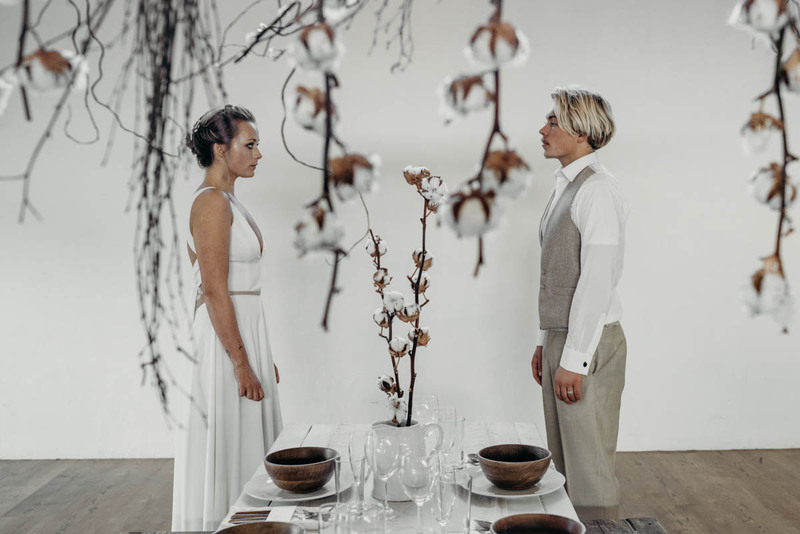 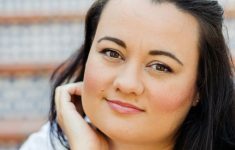 The key to this shoot was its stripped back nature. 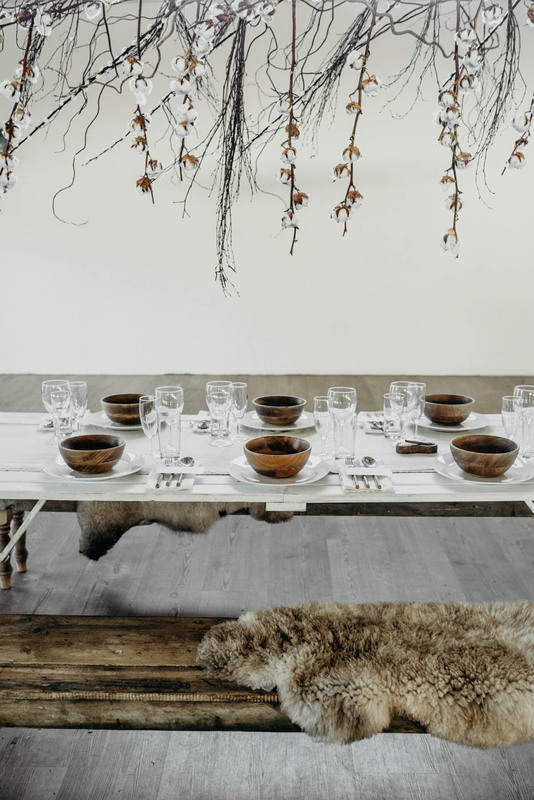 So, I created a colour palette which was strictly neutrals of white, cream, taupe and brown with the beautiful wood finishes essentially being the ‘accents’. 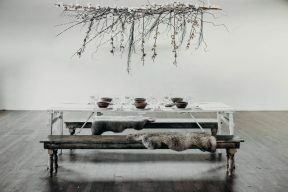 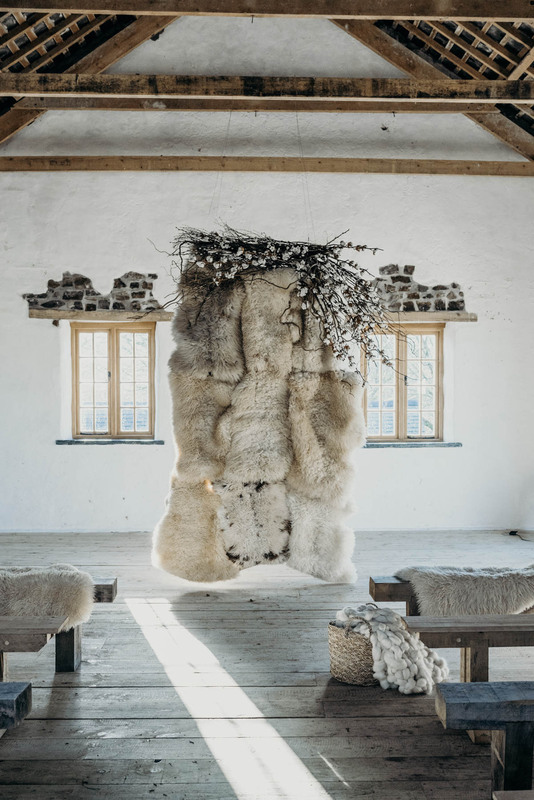 All the details came from the beautiful textures of chunky knits, sheepskins and really tactile ceramics and cotton. 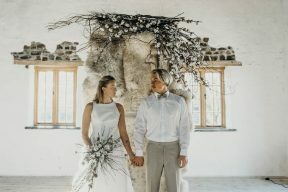 Launcells Barton, just outside Bude in Cornwall, was the perfect setting as it has two beautiful barns. An old ceremony barn oozing with character and a more modern reception barn with a really gorgeous modern feel. 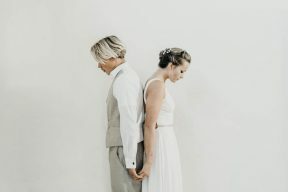 The first part of the day was the ceremony. 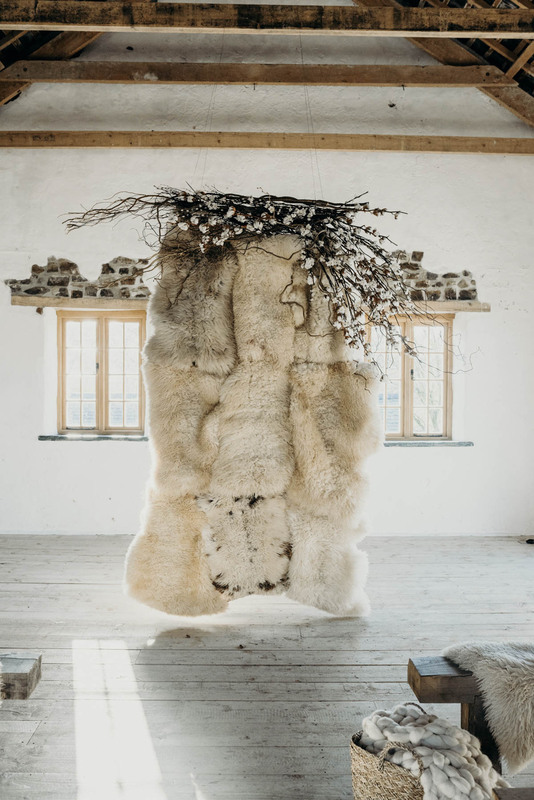 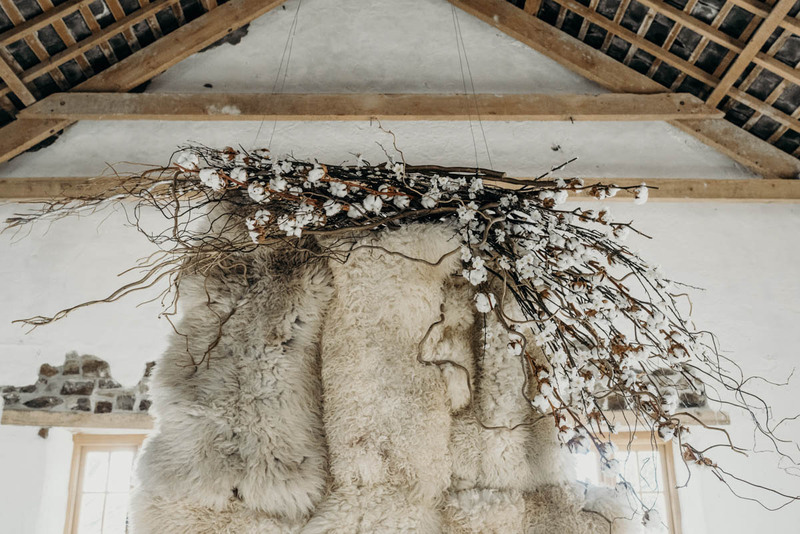 Set up in the beautiful old ceremony barn, I created a ceremony backdrop using sheepskins which was beautifully dressed with an amazing modern but rustic arrangement of twigs, cotton and blossom by florist Brompton Buds. 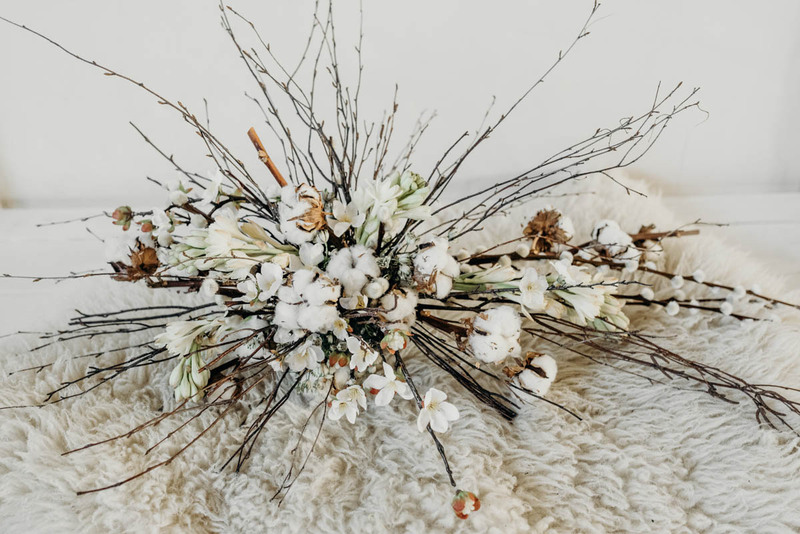 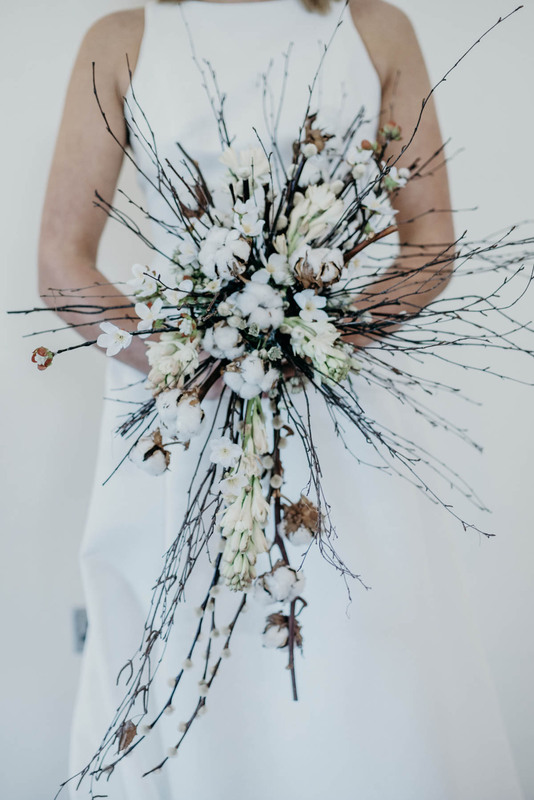 A similar modern bouquet also complimented the design and the cosy feel was accentuated with rustic benches and baskets of beautiful chunky knits from Lauren Aston and further sheepskins. For the wedding meal Brompton Buds created another stunning hanging display of twigs and cotton for over the table. 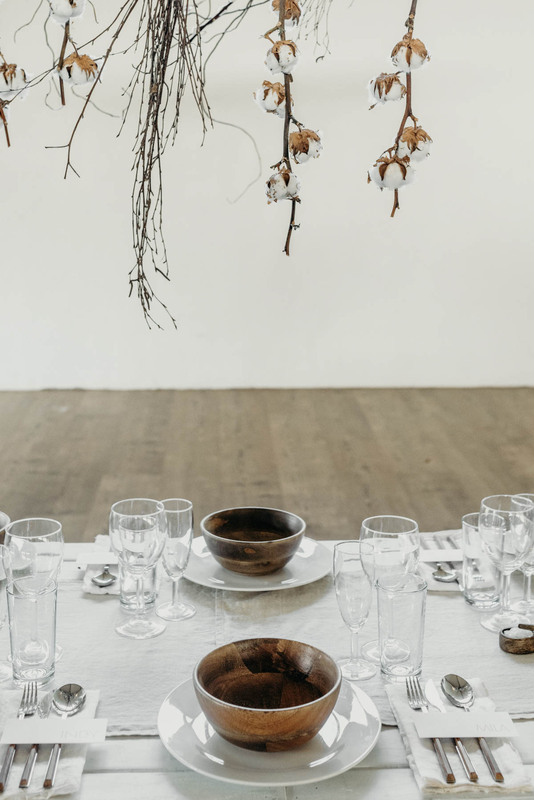 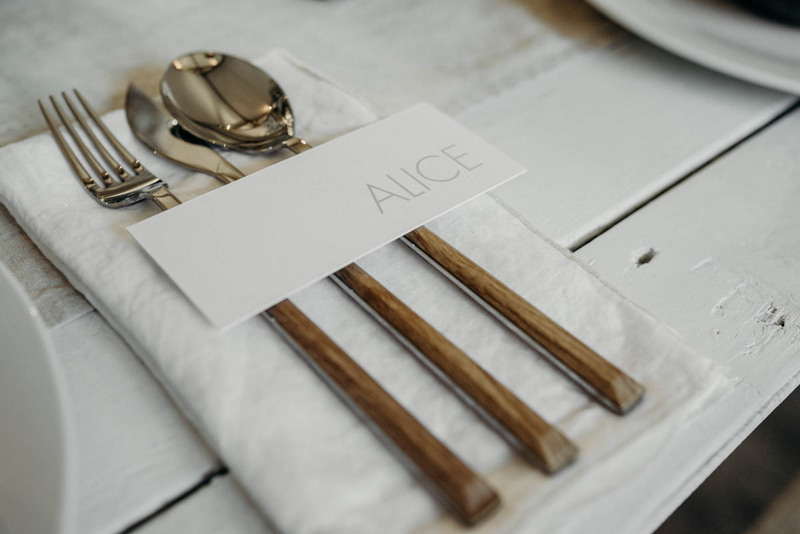 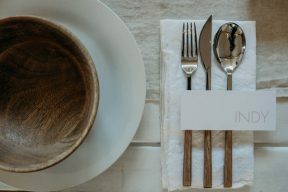 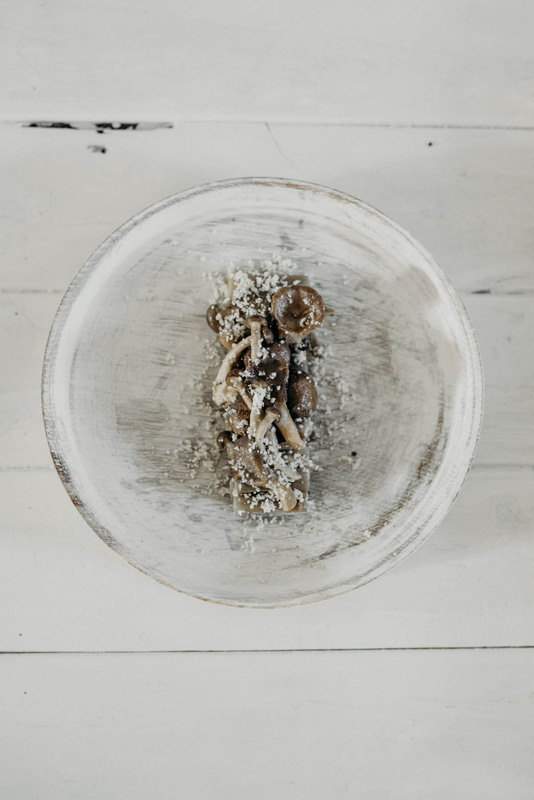 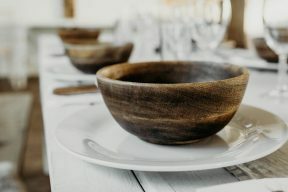 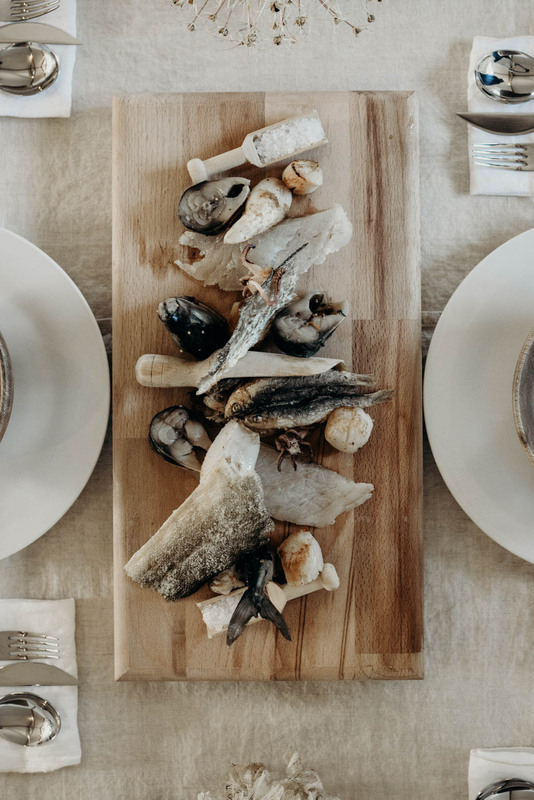 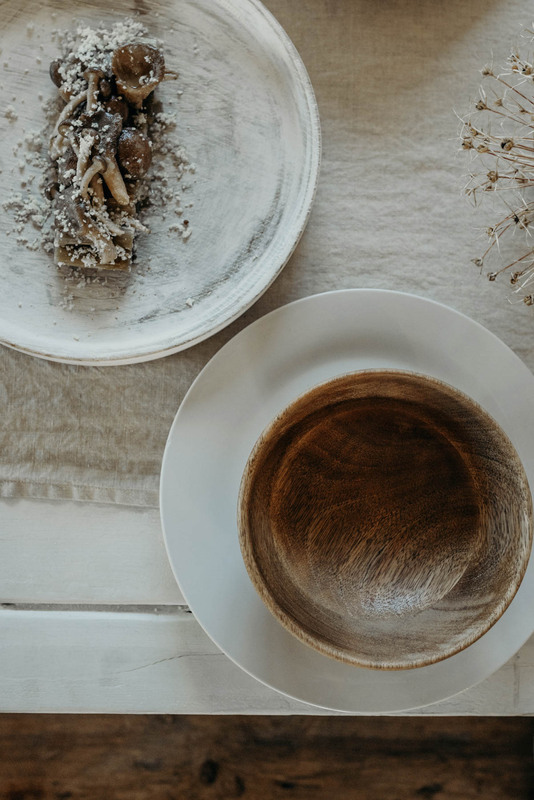 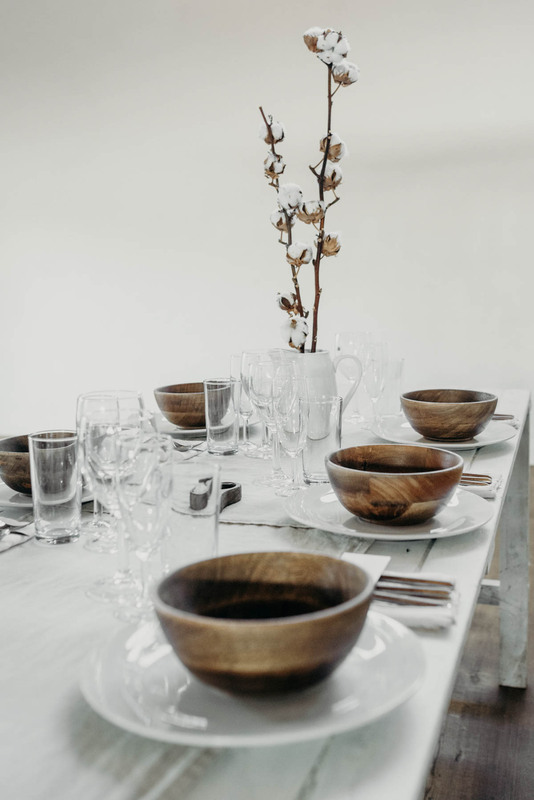 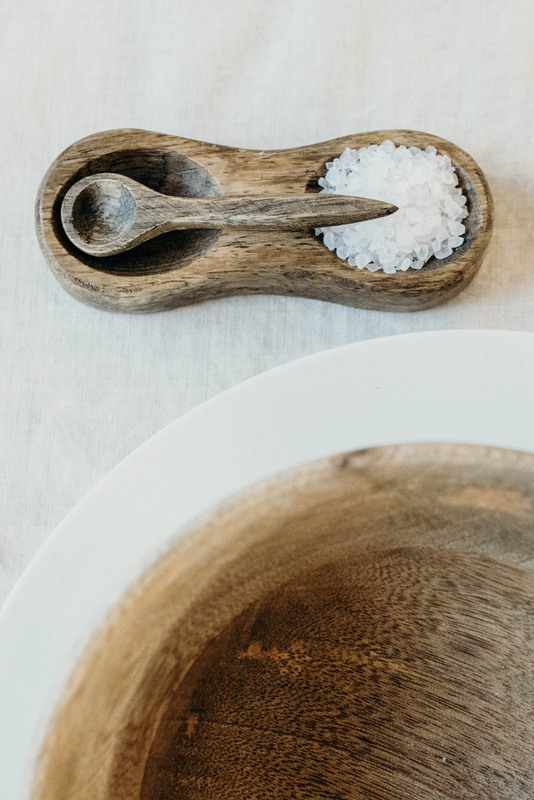 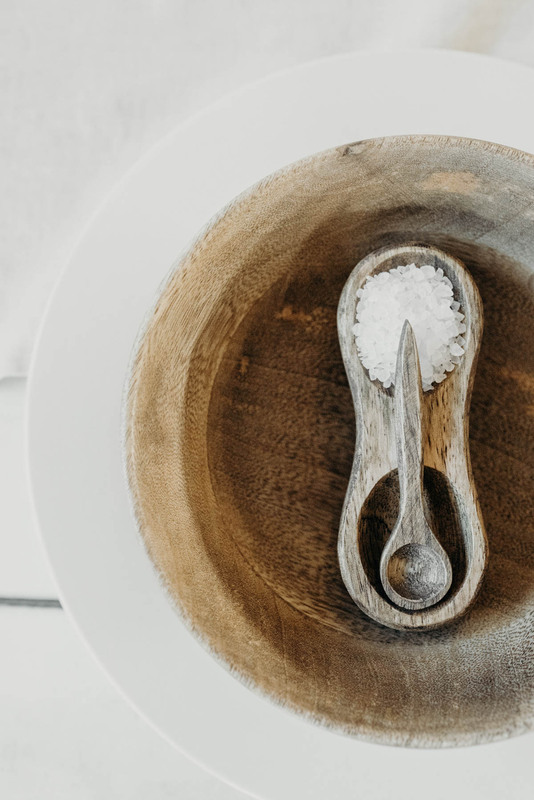 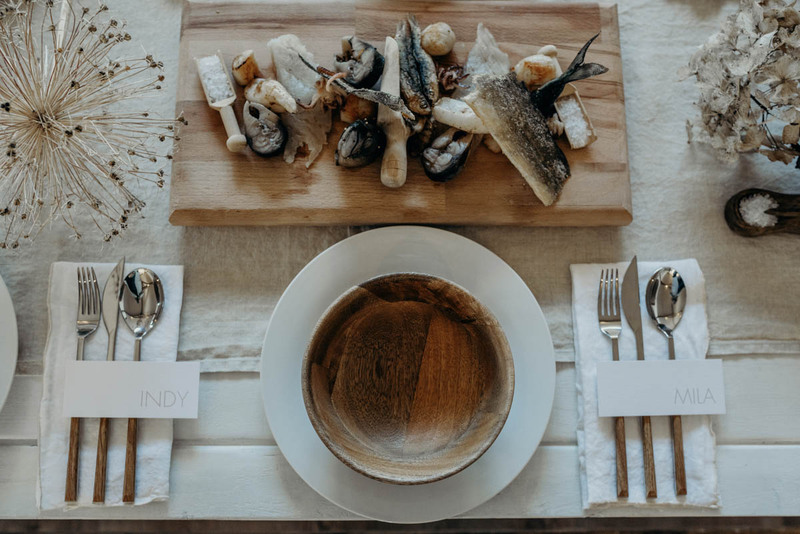 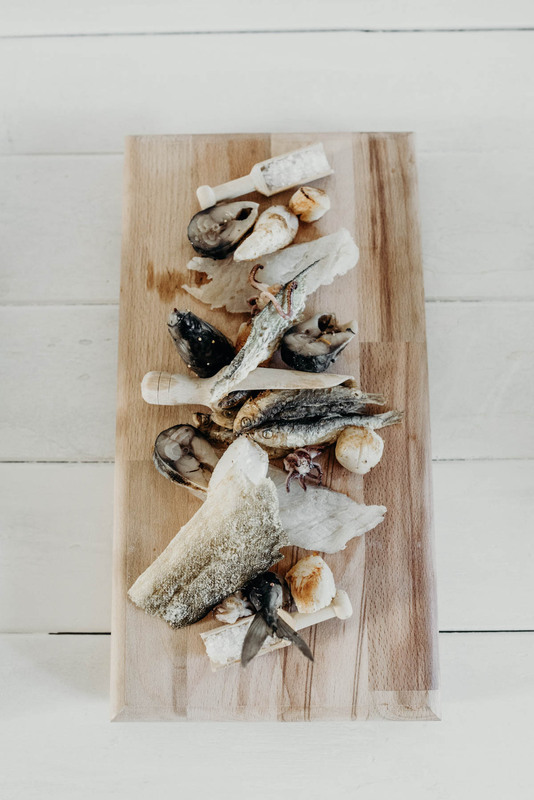 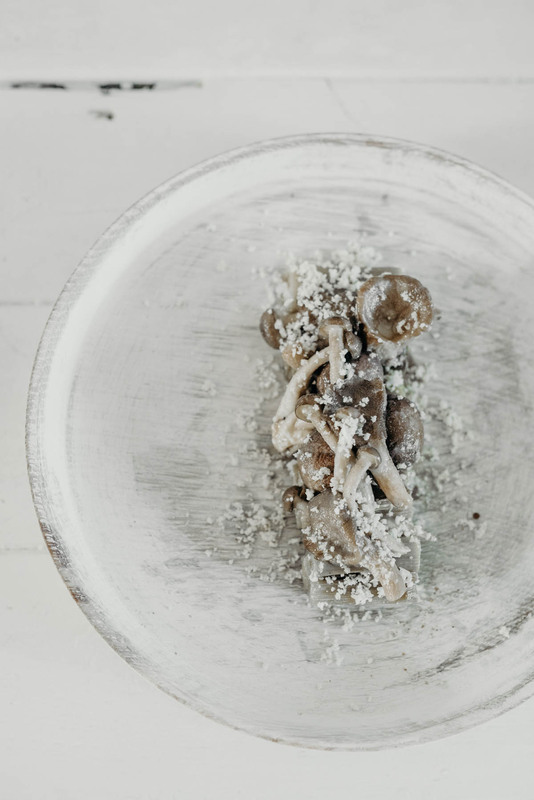 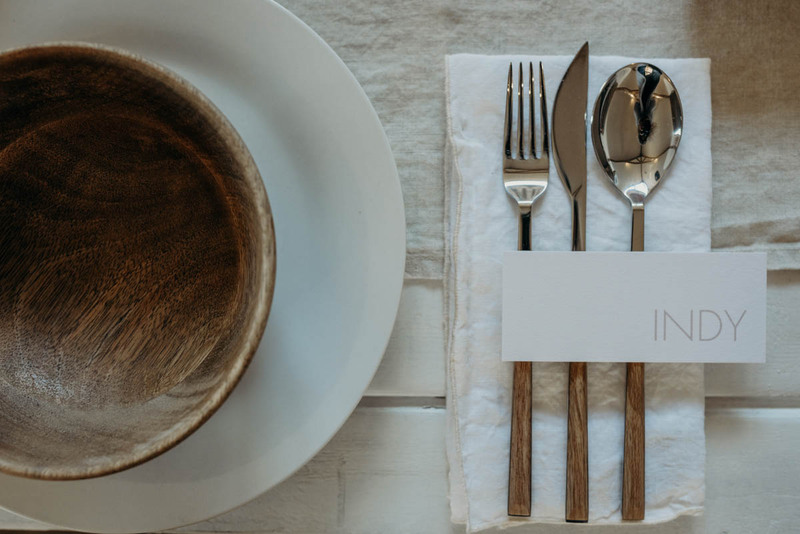 Gorgeous rustic tables from The Prop Factory were dressed with modern linen runners, simple white crockery and wooden bowls with matching cutlery. 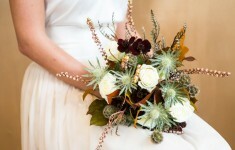 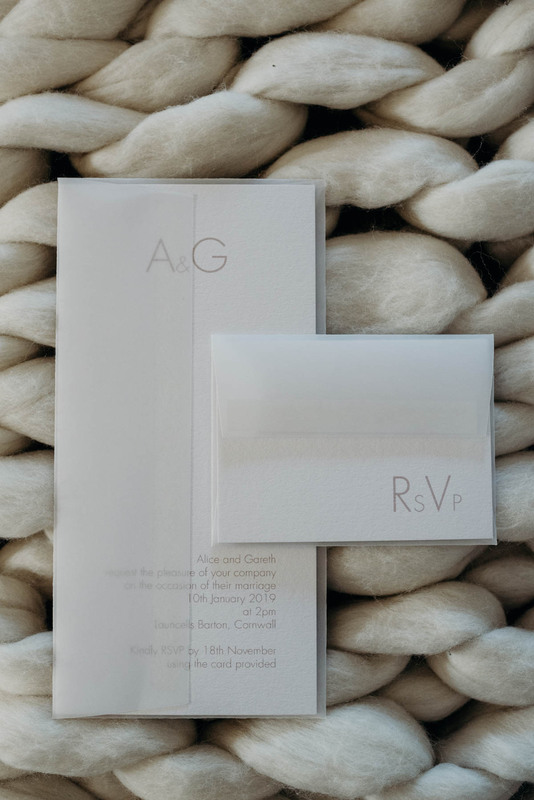 As a stationer as well as stylist I also created some simple placecards to finish the look.